TOKYO — Japanese Prime Minister Shinzo Abe vowed Thursday to take a "step-by-step" approach in resolving a territorial dispute with Russia left over from World War II. 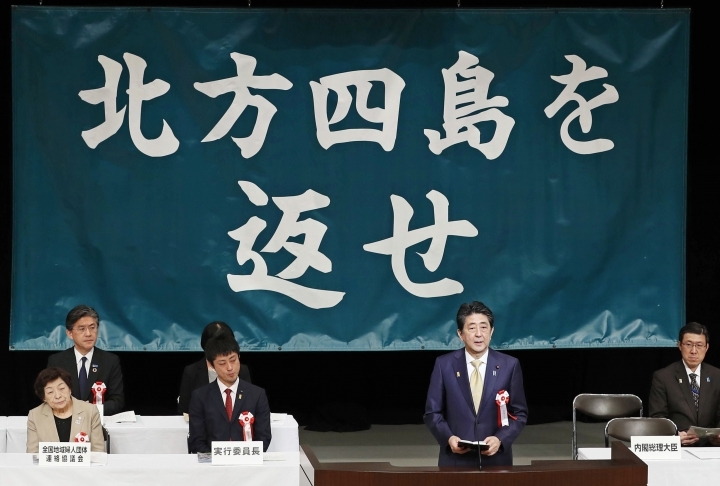 Abe told a rally of former residents of four islands seized by Russia in the war's final days and their supporters Thursday that settling the conflict over what Japan calls its "northern territories" was difficult but necessary. "It is not easy to resolve this task remaining over 73 years since the war. Yet, we need to tackle this," Abe said. "Keeping in mind your sentiments toward the Northern Territory, we are determined to take a step-by-step approach toward resolving the territorial issue," he said. Regaining the islands north of Japan's northern main island of Hokkaido has been a priority for Abe and his conservative base. For seven decades, the dispute has prevented Tokyo and Moscow from signing a peace treaty. In November, Abe and Russian President Vladimir Putin agreed to accelerate negotiations based on a 1956 Soviet proposal to return two of the islands to Japan. That suggestion angered Russian nationalists, and last month Russian Foreign Minister Sergey Lavrov warned Japan it must recognize the islands as part of Russia as a starting point for talks. Abe said the negotiations would continue based on the guidelines agreed to with Putin in order to sign a peace treaty "while people of Japan and Russia strengthen their mutual trust and friendship." While Abe is keen to make progress on the dispute with Russia and find opportunities to cooperate in developing oil and gas and other natural resources, China is the overriding concern, said James Brown, associated professor at Temple University's Japan Campus. "There is also the concern that the United States, especially under the 'America First' policy of (President Donald) Trump, is somewhat of a less reliable ally than it was in the past," Brown said. 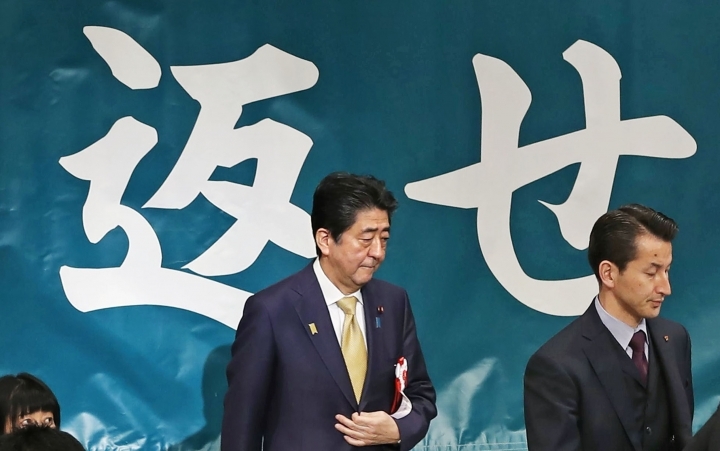 To avoid facing isolation among "hostile" powers such as China, North Korea and Russia, "it seems that Abe has calculated that of those countries, it would make sense to try and normalize relations with Russia and thereby to draw it away from China," he said.